The IRP Scholar-in-Residence Program has two aims: to support research by U.S.-based poverty scholars from underrepresented racial and ethnic populations; and to enhance resources and networks available to these scholars. Applicants may choose to visit IRP or any one of its CPC partners for one week, to become acquainted with resident faculty, staff, and resources and present a seminar. Calls for Scholar-in-Residence program applications for the forthcoming academic year are released in December with a late February deadline. See profiles of current and past scholars. 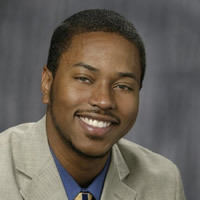 Peter Q. Blair is an Assistant Professor of Economics at Clemson University. For the IRP Scholar-in-Residence Program he chose to visit the Center on Poverty and Inequality, Stanford University. Blair earned his Ph.D. from the Wharton School, University of Pennsylvania, in 2015. His research in economics falls into three categories: (1) labor market discrimination, (2) the economics of higher education, and (3) housing market segregation. The unifying theme across these primary research areas is the study of labor, higher education, and housing markets as engines of inequality. The goal of our research is first to document inequality in these institutional settings and then to understand the mechanisms driving inequality in order to propose and evaluate potential policy remedies. 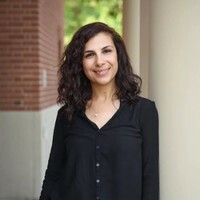 Esra Kose is an Assistant Professor of Economics at Bucknell University. For the IRP Scholar-in-Residence Program she chose to visit IRP. Kose earned her Ph.D. in Economics from the University of California, Davis in 2017. Her research has centered on the question: How do public investments influence children’s and their family’s well-being? She is also examining the long-term effects of the Head Start program. Research into these topics provides new insights into returns to public investments, which are policy-relevant. 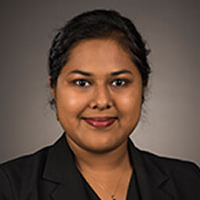 Anita Mukherjee is an Assistant Professor in the Department of Risk and Insurance, Wisconsin School of Business, at the University of Wisconsin–Madison. For the IRP Scholar-in-Residence Program she chose to visit the Economic Self-Sufficiency Policy Research Institute, UCI School of Social Sciences. Mukherjee earned her Ph.D. in Applied Economics from the Wharton School, University of Pennsylvania, in 2014. Her research interests are within health, aging, and crime. A unifying theme in her work is a focus on poverty and vulnerable populations. University of California, Irvine. Analisa Packham is an Assistant Professor of Economics at Miami University. For the IRP Scholar-in-Residence Program she chose to visit the Center for Poverty Research, University of California, Davis. 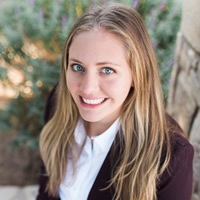 Packham earned her Ph.D. in Economics from Texas A&M University in 2016. Her research is policy-motivated and addresses how policies aimed at low-income individuals can affect health, crime, and education. 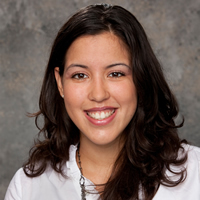 Victoria Perez is an Assistant Professor in the School of Public and Environmental Affairs at Indiana University. For the IRP Scholar-in-Residence Program she chose to visit Poverty Solutions, University of Michigan. Perez earned her Ph.D. in Managerial Science and Applied Economics from the Wharton School, University of Pennsylvania, in 2015. Her research focuses on the implications of Medicaid design on household decision-making and racial disparities, as well as fraud-enforcement strategies.